WOW! ! This FORESTED ACREAGE is just a short walk to the OCEAN! 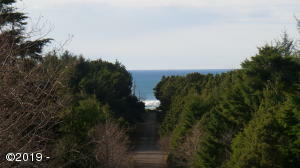 2.41 ACRES with Ocean Views likely from a second story. Septic Approval on file and City utilities at street. Very Quiet neighborhood with paved streets outside of town. Directions South of Waldport on Highway 101, East on Edgewater Dr to subject property.